Vladimir Putin ally: President Donald Trump would bring "peace on planet Earth"
A senior Kremlin lawmaker and Vladimir Putin ally said in an interview that it would be "a gift to humanity" if Donald Trump were to be elected president of the United States. Vladimir Zhirinovsky, the flamboyant leader of the Liberal Democratic Party of Russia (LDPR), told Reuters that Trump is the "candidate for peace" and the best choice to ease tensions between Moscow and Washington. "Americans voting for a president on Nov. 8 must realize that they are voting for peace on planet Earth if they vote for Trump. But if they vote for Hillary it's war," said Zhirinovsky (translated) in the interview. The Putin ally also said: "Trump will have a brilliant chance to make relations more peaceful, to start talks, to take positive decisions on Syria, on Ukraine, on NATO, on disarming and plutonium. He is the only one who can do this." 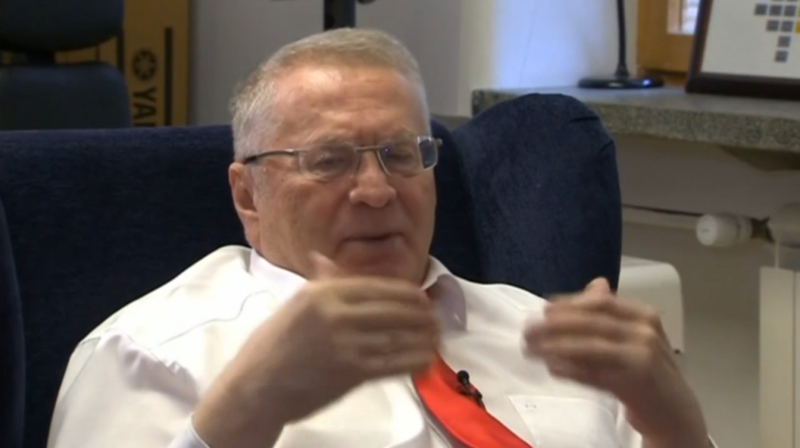 Zhirinovsky himself is known for being "colorful," to use Putin's characterization of Trump. Reuters called Zhirinovsky "Russia's own Donald Trump" and a "clownish figure who makes outspoken statements to grab attention," noting that the Russian people view the LDPR leader as a faithful Kremlin servant. Zhirinovsky stated: "Victory for Trump and his election as president would be a gift to humanity. This is not a joke." Donald Trump has enjoyed a strong bromance with Putin and the Kremlin. Last December Putin called Trump the "absolute leader" in the U.S. presidential race. Trump returned the compliment in an interview with NBC's Matt Lauer during September's Commander-in-Chief forum, saying of Putin: “He’s been a leader far more than our president has been a leader."